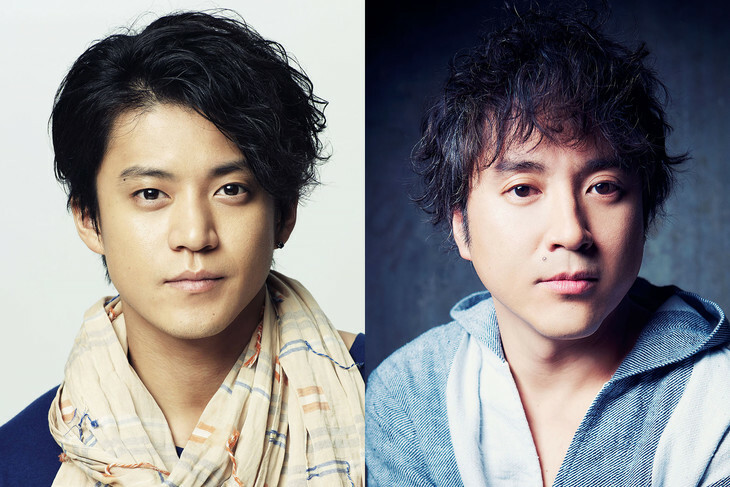 Shun Oguri and Tsuyoshi Muro are cast for leads roles in TV Tokyo drama special “Two Homelands” (literal title). The 2 episode drama special is based on novel “Futatsu no Sokoku” by Toyoko Yamasaki (“The Unbroken“). Story for the drama series is set during the onset of the Pacific War. Shun Oguri & Tsuyoshi Muro play Japanese-Americans who studied at UCLA. “Two Homelands” airs March 30th and 31st, 2019 in Japan. 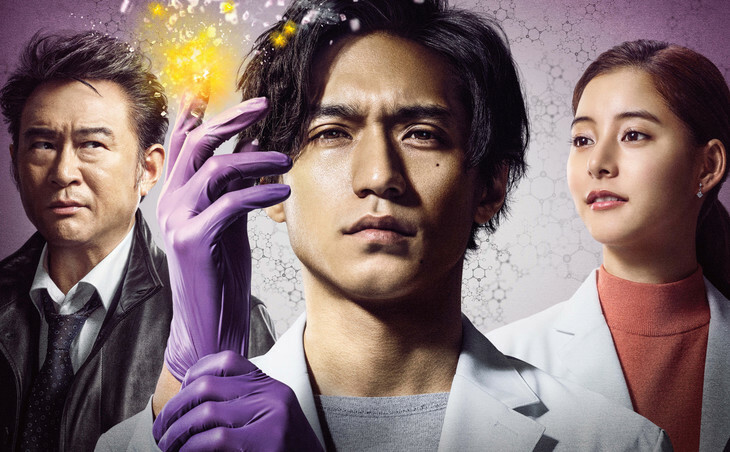 Ep.1 trailer added for NTV drama series “Mr. Hiiragi’s Homeroom” (English title) starring Masaki Sudaand Mei Nagano. The drama series features an original screenplay by Shogo Muto (“Train Man: Densha Otoko“/”Crows Zero“). 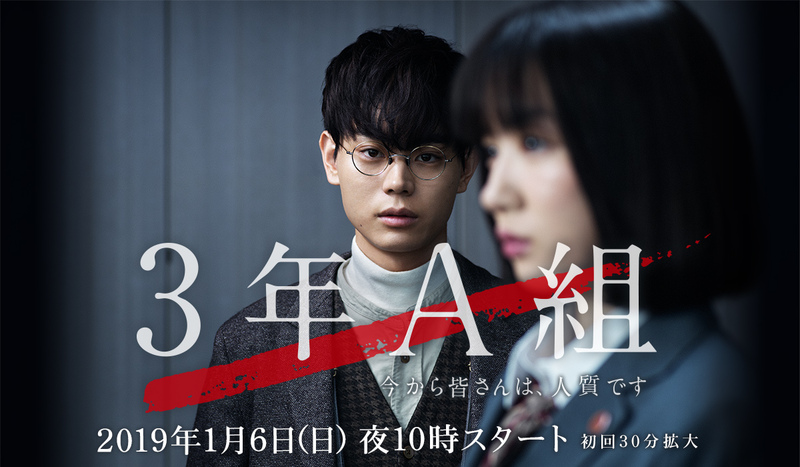 In the drama series, homeroom teacher Ibuki Hiiragi (Masaki Suda) announces to his students a few days before their graduation that they are all hostages. 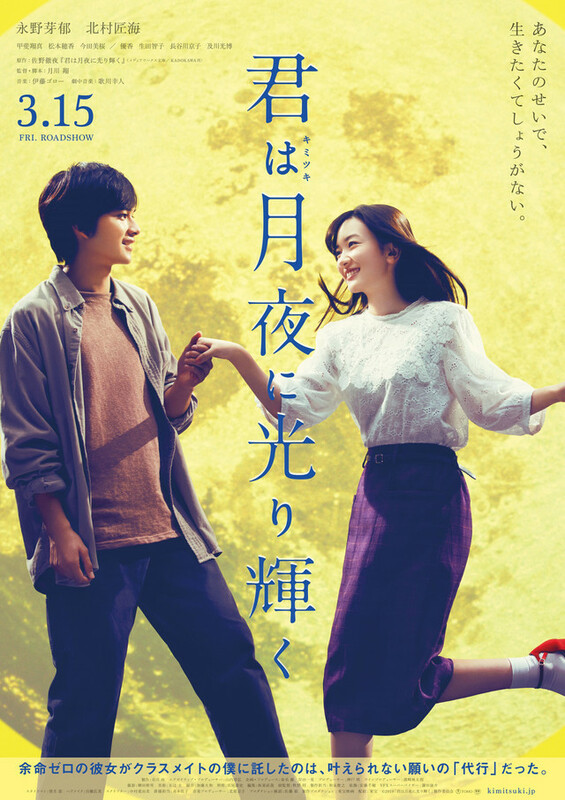 A student’s suicide is revisited by the homeroom teacher. “Mr. Hiiragi’s Homeroom” first airs January 6, 2019 in Japan. Hidetoshi Nishijima is cast for the lead role in TV Asahi drama special “Meitantei Akechi Kogoro.” The drama special consists of two episodes. Also cast in supporting roles are Atsushi Ito, Yuriko Ishida, Yukino Kishii and Teruyuki Kagawa. The two episodes will have different stories. For the drama special Hidetoshi Nishijima will play main character Akechi Kogoro. “Meitantei Akechi Kogoro” airs sometime next year in Japan. 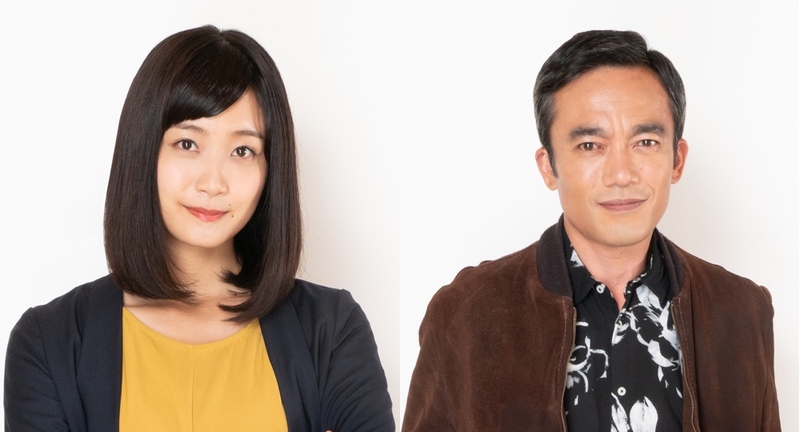 Mai Fukagawa & Kazuya Takahashi are cast for lead roles in TV Tokyo drama series “Nihon Boro Yado Kiko.” The drama series is based on 2011 novel “Nihon Boro Yado Kiko” by Akira Kamiakito. The amusing premise has Mai Fukagawa playing 27-year-old Haruka Shinomiya. She inherits a management company after her father suddenly passes away. The company only has a 48-year-old unpopular singer played by Kazuya Takahashi as a client. The two go on a tour to promote the singer. 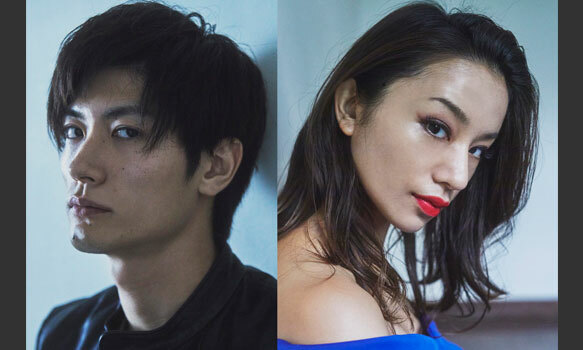 Tatsuya Fujiwara is cast for the lead role in TBS drama series “Atarashii Osama Season 1.” Also cast in supporting roles are Yosuke Sugino, Rena Takeda, Natsuna Watanabe and Teruyuki Kagawa. The drama series will consist of 8 episodes. Follow up series “Atarashii Osama Season 2” will then stream on Paravi and have 9 episodes. Meanwhile, teaser trailer for “Atarashii Osama Season 1” has been added on AsianWiki. “Atarashii Osama Season 1” first airs January 8, 2019 in Japan. Teaser trailer and poster added for Amazon Prime Video drama series “Magi: Tensho Keno Shonen Shisetsu” starring Shuhei Nomura, Yuki Morinaga, Kai Inowaki and Atsushi Ogata. The drama series is based on nonfiction novel “Kuatoru Ragasshi: Tensho Shonen Shisetsu to Sekai Teikoku ” by Midori Wakakuwa. 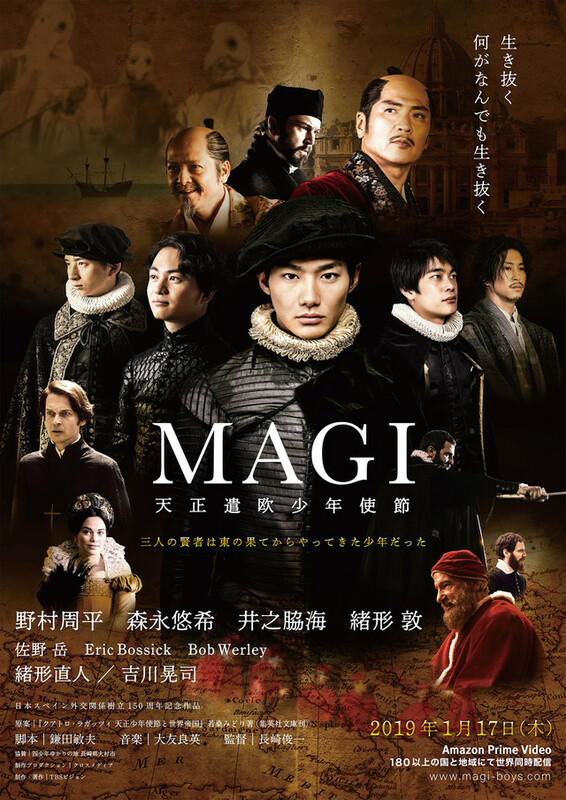 Story for the drama series is based on the true story of four boys who were selected to travel from Japan to meet the Pope at the Vatican during the Sengoku period. “Magi: Tensho Keno Shonen Shisetsu” will be available to stream from January 17, 2019. 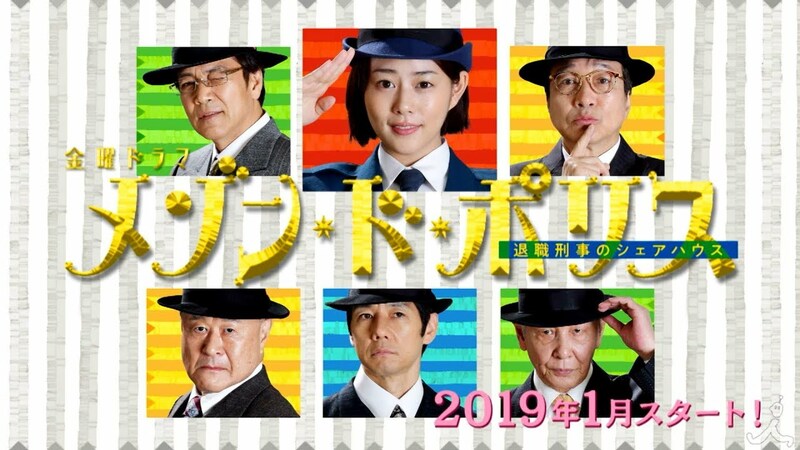 Teaser trailer #2 added for TBS drama series “Maison de Police” starring Mitsuki Takahata, Hidetoshi Nishijima and Fumiyo Kohinata. Drama series is based on 2018 novel “Maison de Police” by Miaki Kato (“Mop Girl“). Teaser trailer #2 features actual footage from the drama series for the first time. Here’s a visual for Fuji TV live-action drama series “Trace: Kasouken no Otoko.” The visual features Ryo Nishikido as Reiji Mano, Yuko Araki as Nonna Sawaguchi and Eiichiro Funakoshi as Ryohei Toramaru. Reiji Mano is a forensic science researcher, Nonna Sawaguchi is a rookie forensic science researcher and Ryohei Toramaru is a veteran detective. The drama series is based on manga “Trace: Kasouken Hoi Kenkyuin no Tsuiso ” by Kei Koga. “Trace: Kasouken no Otoko” first airs January 7, 2019 in Japan. Maryjun Takahashi is cast in WOWOW drama series “Dying Eye” co-starring Haruma Miura. The drama series is based on 2007 novel “Dying Eye” by popular mystery writer Keigo Higashino. Masahiro Kunimoto directs the drama series. For “Dying Eye,” Maryjun Takahashi will play dual characters of Minae Kishinaka and mysterious woman Ruriko. The character of Minae Kishinaka was killed in a car accident which involved bartender Shinsuke Amemura (Haruma Miura). “Dying Eye” will first air March 16, 2019 in Japan.